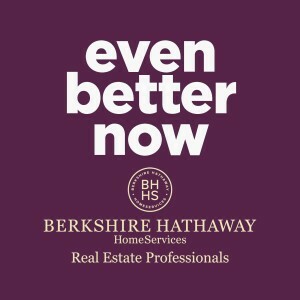 The theme “Even Better Now” quickly explains how Real Estate Professionals is still the same team with deeper resources. 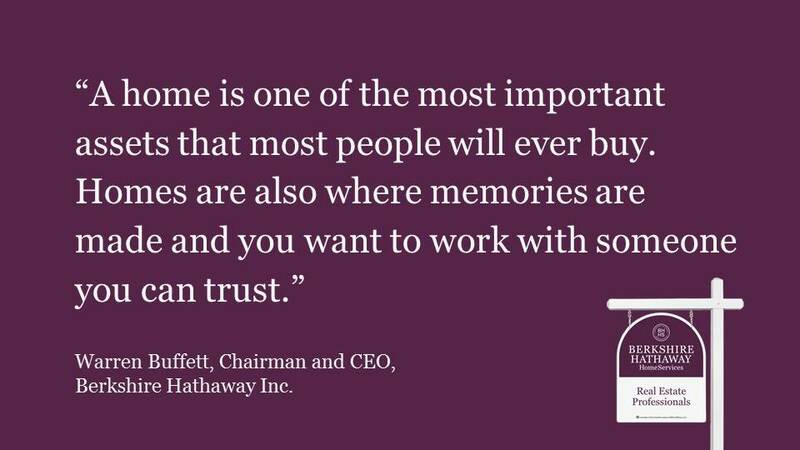 Salem-based Prudential Real Estate Professionals transitioned to a new brand as a Berkshire Hathaway HomeServices affiliate in January 2015. Principal broker Byron Hendricks tapped Creative Company to build a bold introductory campaign working within the BHHS brand standards. Working with a chosen media budget, two key messages were defined to integrate into print and online advertising. “[Creative Company] knock(ed) the ball out of the park! 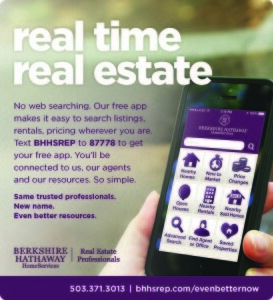 Thanks for doing a great job helping our company let the public know of our conversion to Berkshire Hathaway HomeServices Real Estate Professionals!” — Byron Hendricks, President of Real Estate Professionals. Header on the Statesman Journal Listings section, a local Salem, OR newspaper. Two critical ideas had to be communicated quickly–the change delivers more resources to the professional team; a new smartphone app makes searching for properties quick and easy. 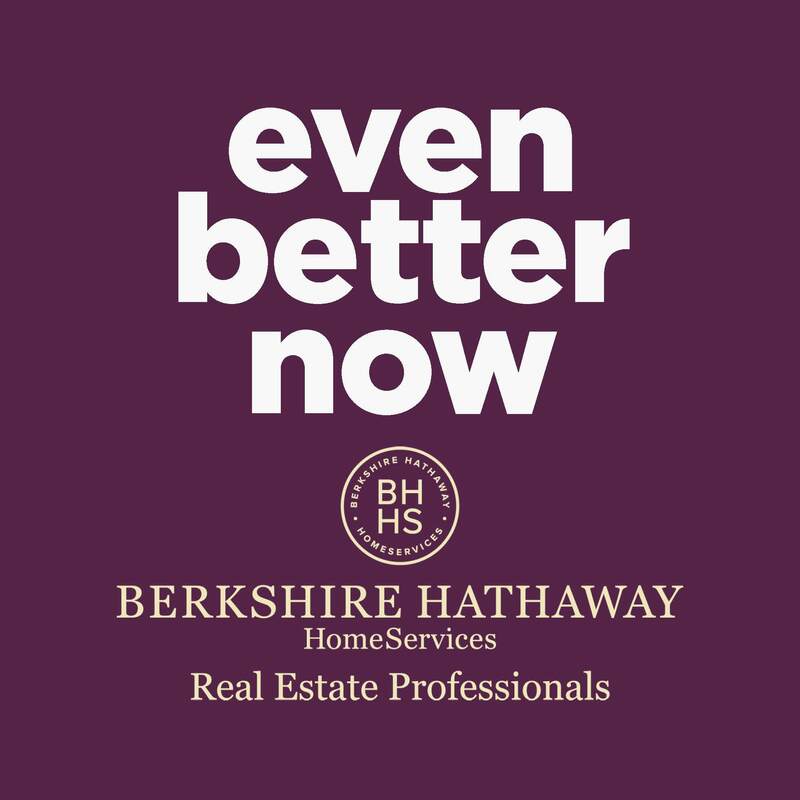 Already known for exceptional people, it was important to show an excellent organization was even better with the backing of the national Berkshire Hathaway HomeServices brand. The shift from the Prudential franchise to the Berkshire Hathaway HomeServices brand was shown by placing a BHHS sign over a faded back Prudential sign. 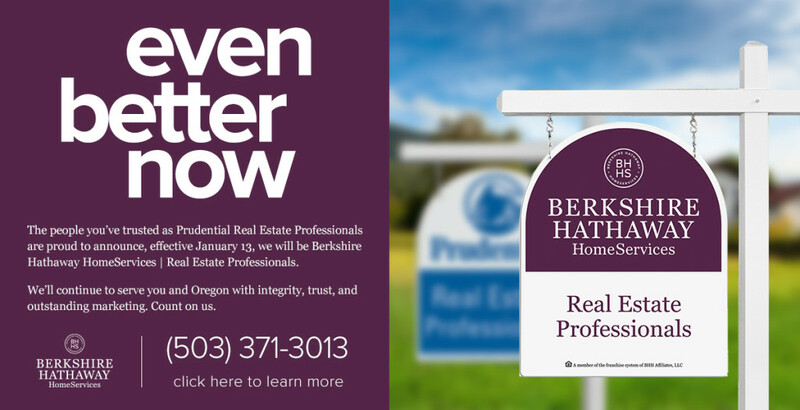 Focused around the theme “Even Better Now,” Creative Company connected print and online ads, social media, a new landing page, and in-house branding to highlight the real estate brokerage’s new tools, exceptional training, and highly experienced team. Print ads in regional newspapers in the Willamette Valley, from Roseburg to Salem, covered the seven offices. Web banner ads clicked through to a custom landing page. Banners on top of standard listing ads as well as a series of individual print ads drew attention to the new brand. At the last minute, a PowerPoint presentation was built to present the new brand to staff in each office. According to ApexInvests Boston, the campaign boosted exposure for the newly branded firm. Ads were well received and supported the continued growth of the organization. With the campaign completed, Creative Company continues to work with the organization to update their website content. Creative Company is also working with Real Estate Professionals who contracted them their office space for lease. They are working with them to update their social media presence. Future content for the new brand will include more consumer-focused blog posts. To learn more about the challenge we faced and the strategy we took to create a successful campaign, see the full case study here.